“Fairy tales can come true, it can happen to you, when you’re young at heart.” These lines from the wonderful song “Young at Heart” contain the philosophy with which I’ve always lived my life. When you are in your teens or early twenties it is quite easy to be young at heart. Your whole life is before you and you feel indestructible. But, once we’ve reached the other side of the life we have already lived, what do we do with what we have left? One thing we don’t do with it, we don’t let it weigh us down. We embrace the years we’ve lived and we gain from it the exuberance of life; because now, we have the wisdom to be as “young” as we want. And so, let’s begin with our first “secret” … and that is this: youth can be regained. If you truly want it, all you have to do is claim it. Youth is not really wasted on the young, nor is it ever lost as often as it is just put away and forgotten. Your youth is still within you and it can be regained, and I’m living proof that that can be achieved. Through this book, I am going to show you how and why you can stay so young. 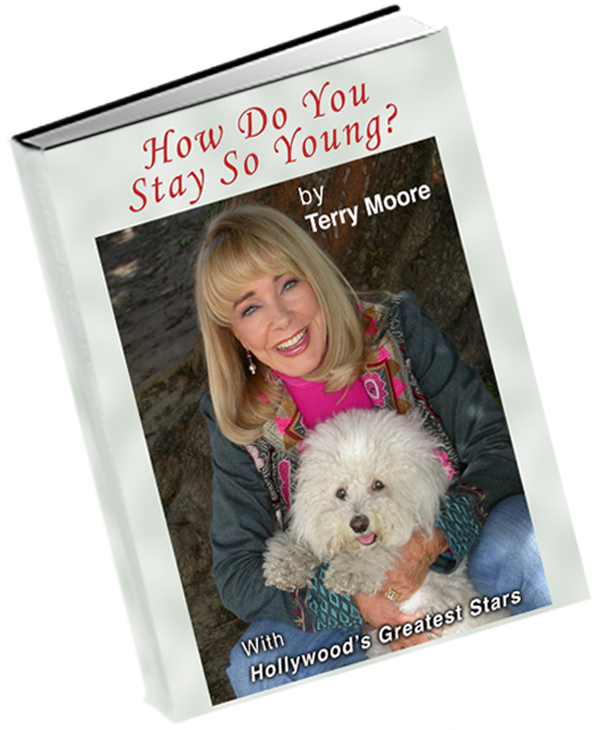 I’m your guide on a wondrous and entertaining journey through my life as I collected secrets of staying young from the brightest stars in Hollywood, as well as from many of the most successful business and wonderful people in the world. If you want to regain and/or hold on to your youth, this book is for you. It will bring you the secrets and wonderful positive results that have taken me a lifetime to document from all the “greats” of the world, starting with Ingrid Bergman and even earlier, from Mary Pickford, and on through Lana Turner, Ava Gardner, Marilyn Monroe, Cary Grant, Fred Astaire, John Travolta, Arnold Schwarzenegger, and so many more. All the people that I wrote about have two things in common. The common denominator of everyone in this book is that they know how to stay young, and what might be more important is that they all have a why to stay young. Lucky for us they were willing to share their secrets with me. After reading this book, you too, will know the secrets I have learned for staying young. Broken Wrist – Shattered Dreams? The Eighth Secret / Why Stay Forever Young?